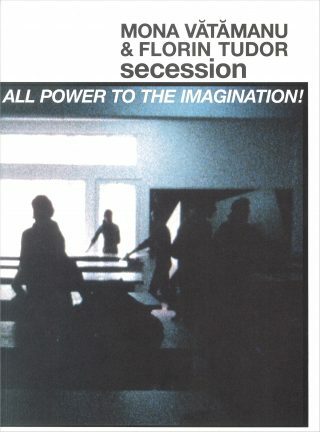 All Power to the Imagination! is a new installation specially developed for the Grafisches Kabinett and the facade of the Secession by Romanian artists Mona Vătămanu and Florin Tudor. In this work, the artist duo who have been working together since 2000 explore potentials of resistance, which they understand less as a dogmatic, didactic idea than as a subtle, poetic form of action. The artists’ interest in such an approach matches their skepticism towards political symbols and slogans which make a claim to truth. 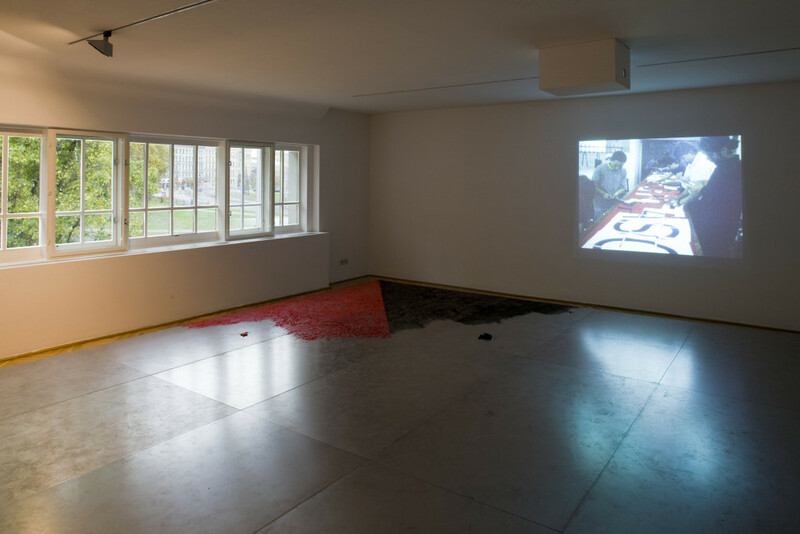 The installation consists of several works in different media which are related in terms of both form and content. 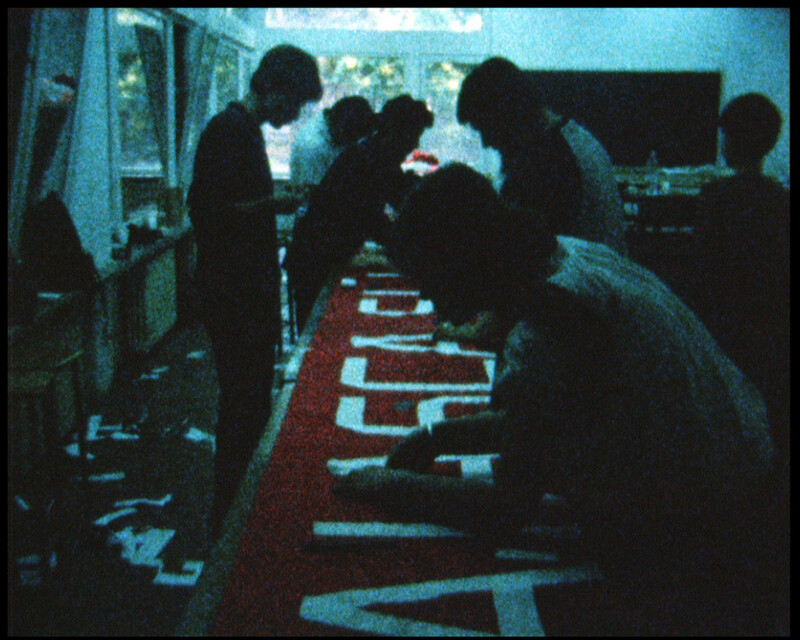 The room-filling installation in the Grafisches Kabinett centers on a floating stage with a fragmentary representation of the red and black flag of anarcho-syndicalism—now a global symbol for rebellion against hegemonic conditions within society. When stepping onto the double floor, visitors may feel a notion of instability. The resulting uncertainty symbolizes the social condition which has emerged as a consequence of a fundamental shift in values in the past twenty years. 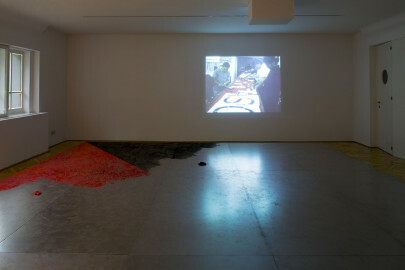 The material density of the spatial composition contrasts with the immateriality of the film projection of Poem (2009). 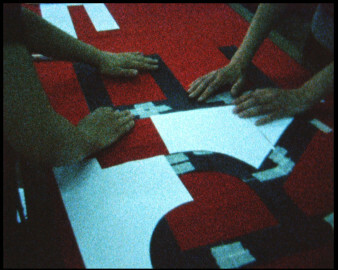 It shows the making of the banner with the words Trăiască şi înflorească Capitalismul! (Long live and thrive Capitalism!) which is mounted on the Secession’s facade. 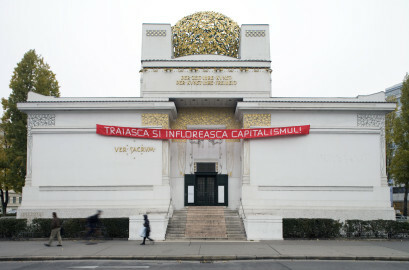 The text is a variation on the socialist slogan “Long live and thrive Socialism!” which was omnipresent in Communist Romania, thus reflecting the transformation from one system to another. The series of small-format paintings entitled Riots (2009) again refers to anarchist resistance in the form of its symbol, the red and black flag. The works of Mona Vătămanu and Florin Tudor are based of a politics of remembering diametrically opposed to the collective trauma that lies in forgetting and repressing the events of recent Romanian history. In symbolic actions of visualisation and reparation, they campaign actively for a focus on and engagement with history. 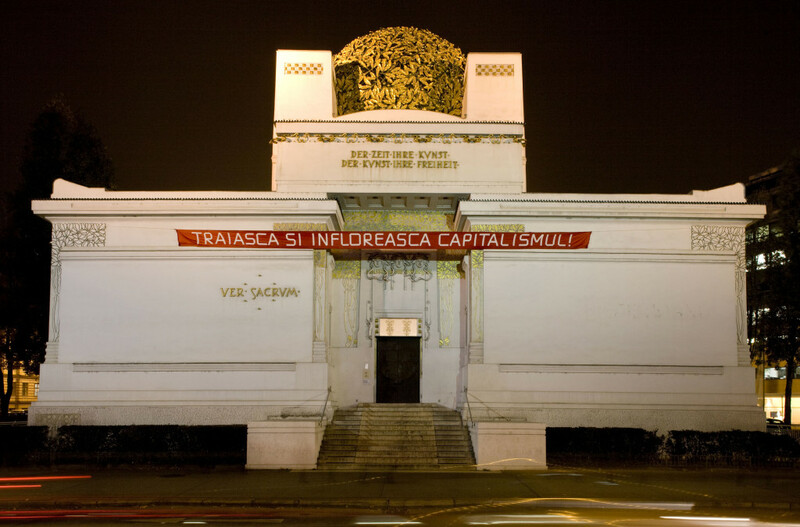 For the artists, this is essential to any understanding of today’s post-communist society. Mona Vătămanu, born 1968 in Constanţa, RO, and Florin Tudor, born 1974 in Geneva, CH, live and work in Bucharest.